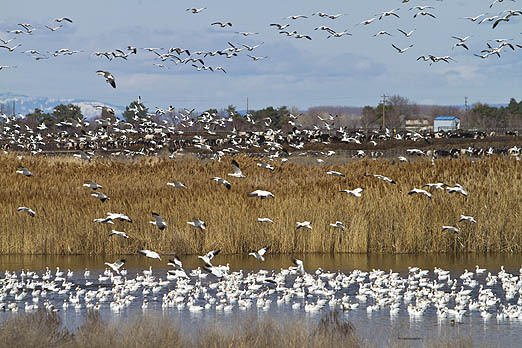 The GUARDIAN ran across a really cool Idaho spring break idea Monday worth a half day jaunt to the Idaho Fish and Game Fort Boise Wildlife Management Area near Parma. The place is packed with migratory wildfowl. Snow geese are the overwhelming leader, but there are all sorts of ducks, geese and swans as well. A pair of binoculars or spotting scope are nice tools for the average “birder,” but just seeing and hearing the huge numbers of feathered friends is a sight to behold. We saw a dedicated birder with a great SmartPhone bird identification app that was very handy. F&G has built a viewing blind which has a strong resemblance to the guard towers found on historic forts like Ft. Boise which was once situated nearby at the confluence of the Boise and Snake Rivers. The tower is about 30 feet high with convenient windows for viewing the birds. If you are on spring break or retired, the GUARDIAN is prepared to offer an excursion in our new seven passenger SUV on Thursday. We know of a funky sandwich shop in Parma for lunch. If you are interested, leave a note by pressing the CONTACT button at the top of the page to send a private message. Please include a phone number so we can contact you to work out details or cancel in the event we don’t get enough participants. Plan on a $10-15 contribution for gas and photography tips. DIRECTIONS: I-84 to Caldwell, exit at Highway 20 (Notus-Parma) and go west to Parma. Continue through Parma and left at Mile Post 50 on U.S. 95 OLD FORT BOISE Rd. continue to the end of the road past the railroad. 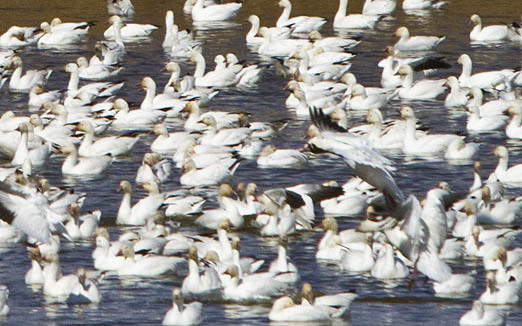 While visiting F&G to view these birds, go ahead and ask F&G about the Environmental Assessment to start swan hunt in Idaho and the neighboring states. Did you fill your van yet for the Thursday event? EDITOR NOTE–Still have 3 seats at this time. Leave a number using the CONTACT button on the bar below the logo picture at the top of the page. Should be a fun time.